Welcome to Window Bright Window Cleaning service in Las Vegas, We take great pride in being one of the Las Vegas Valley’s premier window cleaning services. We are a professional and affordable window cleaning company in Las Vegas and Henderson NV. 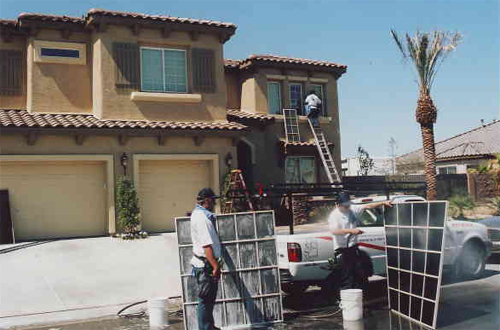 We have 20 years experience washing windows in Las Vegas for both residential and commercial. Our technicians will get your windows so clean you won’t be able to believe it! We do single story and 2 story homes. We are available on weekends if needed. Your best pricing is with our regular service plan or you can choose a one time service. Either way, our estimates are the best in town, affordable without sacrificing quality. Please call for a free estimate. To get really clean we clean the inside and outside. We can also do outside only. We also do pressure washing in Las Vegas. We can clean any hard surface around your home with our pressure washing. 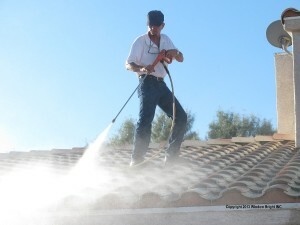 Driveways, garages, stucco, block walls, cool decking around the pool, and roof tiles all can be cleaned with pressure washing.